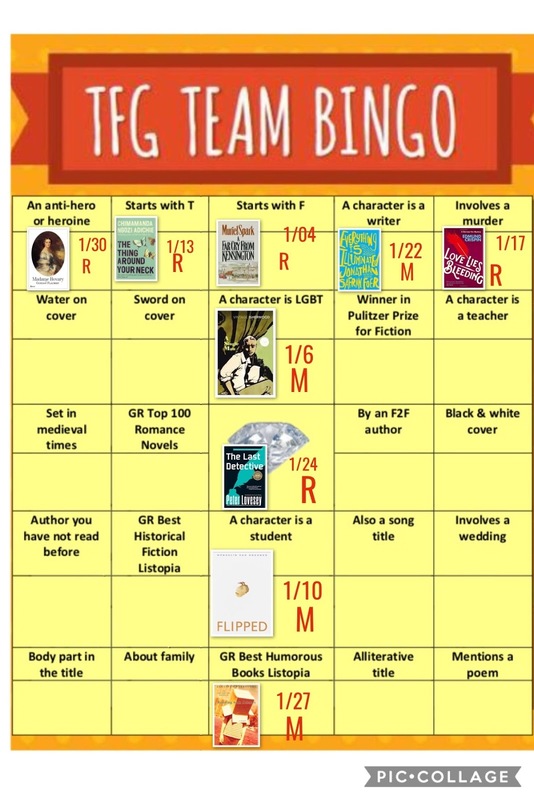 Our book club has a new reading challenge this year: in addition to the individual book bingo, we also have the team book bingo. Want to know more? Rules, mechanics, and other relevant stuff are all here. My teammate for the challenge is my good friend and kumare Ronnie. She's going to read 5 books and I'll read 4 - she was kind enough to offer to read more because I needed to moderate the book club's book for the month. And what do you know, we got the first pattern! We'll be relaxing for the next patterns (F and G) to give others the chance to complete their cards. Yay to us, partner!